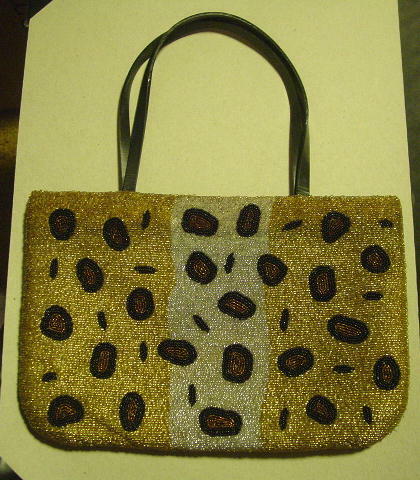 This foreign-made beaded purse has two black leather straps. 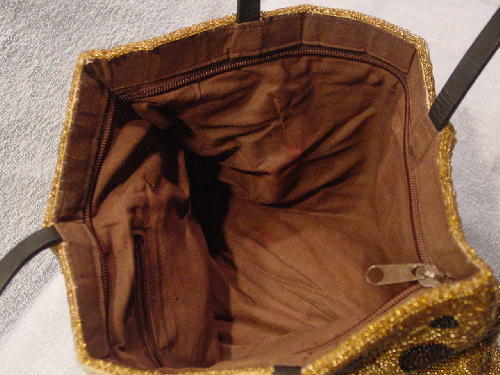 It has a brown fabric lining with a top side to side zipper opening which is 1" downward from the top. The lining has some red marks. The exterior is covered in golden-amber, gray, black, and dark copper beads on an offwhite fabric background. It has the same design pattern on both sides. 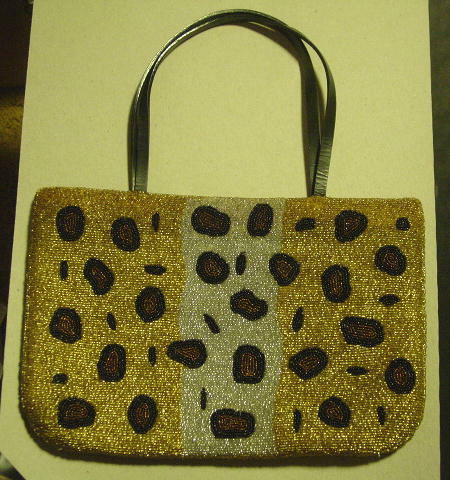 It was her favorite beaded purse since it could hold lots of things. She sold her purse collection when she moved to a condo.